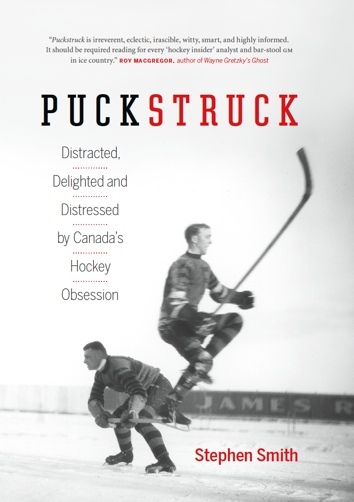 Meet and Greet: Toronto was leading Detroit 3-2 after two periods on the night of April 14, 1945, in the fourth game of the Stanley Cup final at Maple Leaf Gardens, so they may have thought they be raising the trophy that very night. Led by Teeder Kennedy, backstopped by Frank McCool, they’d swept the first three games on the road. But the Red Wings stormed back on the night, winning the game 5-3, along with the next two. The Leafs would have to travel back to Detroit and win a seventh game before they could claim their fifth Cup championship in club history. 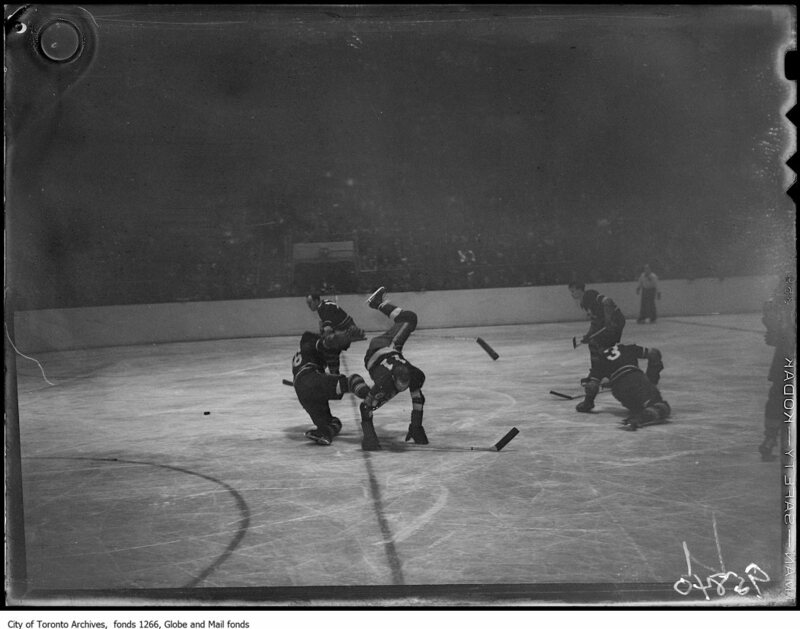 Above, that’s Detroit’s Jud McAtee (11) cartwheeling after an encounter with a Leaf who may be Wally Stanowski, as the puck slides free. Also down, wearing 3, is the Leafs’ Reg Hamilton.